I once had a collection of over 300 different wallpapers for my MacBook, set to randomly change every 30 minutes. Needless to say, my desktop never got boring. Wallpapers can facilitate a mood, imply a political stance, or just add aesthetic appeal, so having to manually change them on my iPhone is a bummer because of how many times I want a new home or lock screen look. Luckily, there is a cool tweak for jailbroken iOS devices that changes the wallpaper automatically so that you have a fresh look all of the time. 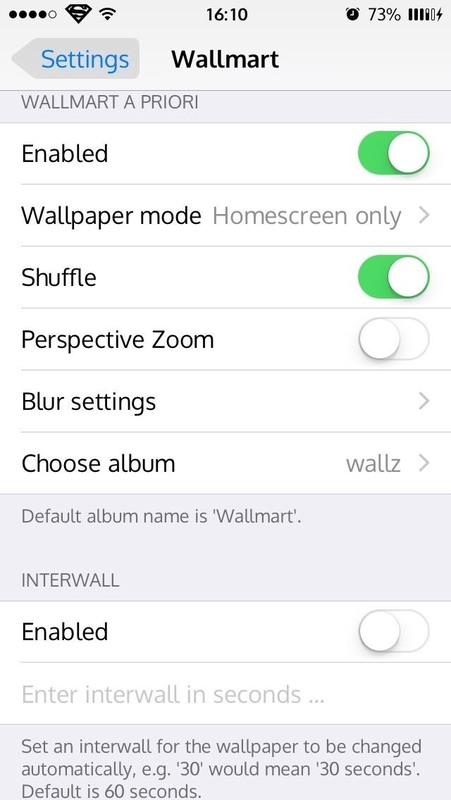 It's called Wallmart, and you can have it either cycle through your entire Camera Roll or you can create a "Wallpapers" album that it can use. 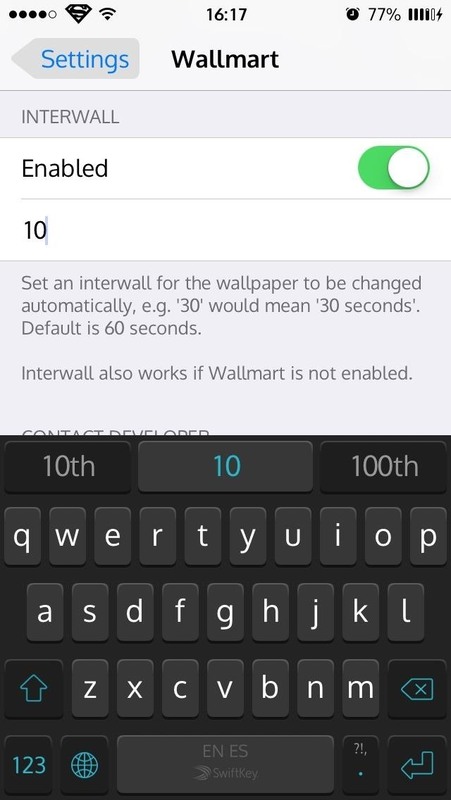 Wallmart (not to be confused with the giant department store) by developer Timm Kandziora is available for free on Cydia. Make sure to respring your device after installation. 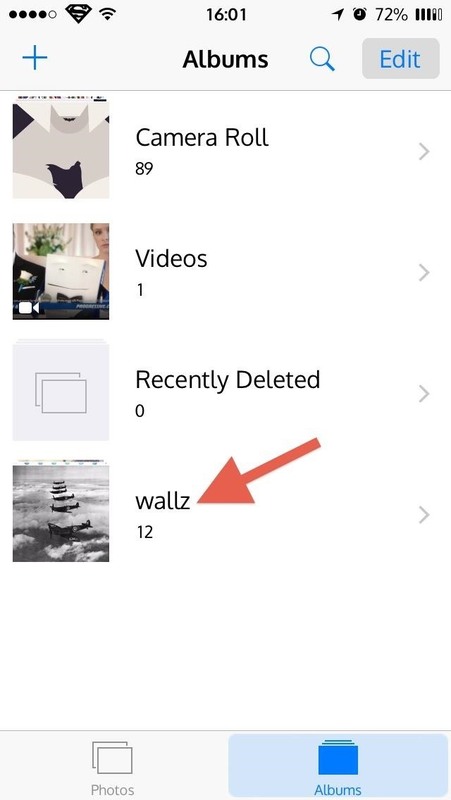 By default, Wallmart uses all of the photos inside your Camera Roll, so unless you're perfectly fine with having every image appear on your home and/or lock screen, I suggest creating an album in your stock Photos app just for wallpapers. In the next step, you'll see how to select your new album. 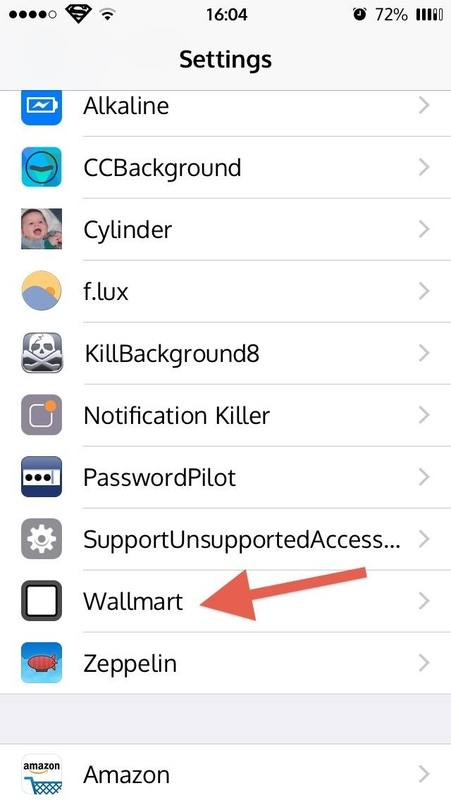 Find Wallmart in the Settings app next to your other jailbreak tweaks and select it to change your preferences. 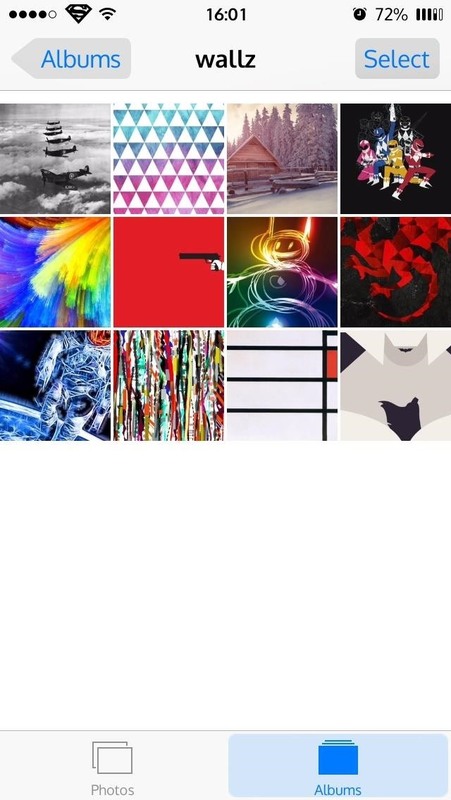 First, remember to select the specified wallpaper album in the "Choose album" section near the bottom. Next, you can enable shuffle, add blur effects, perspective zoom, and choose where you want the automatic wallpaper shifts to occur (home screen, lock screen, or both). 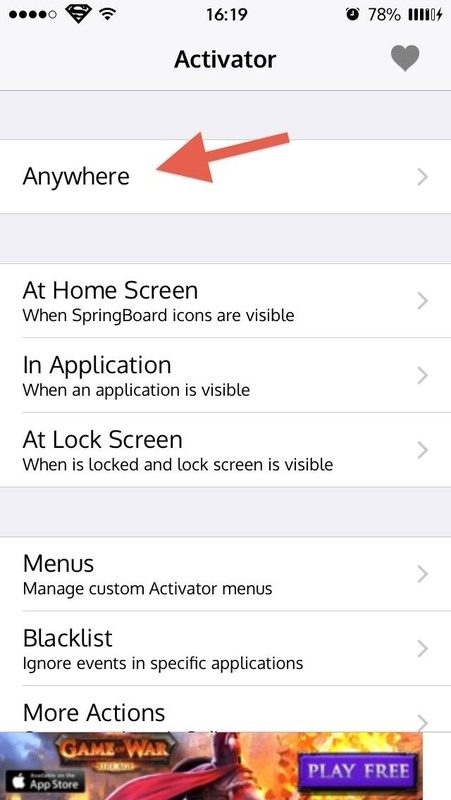 There are three different ways that your wallpapers will change: at timed intervals, every time the screen is locked (the default option), or through Activator actions. 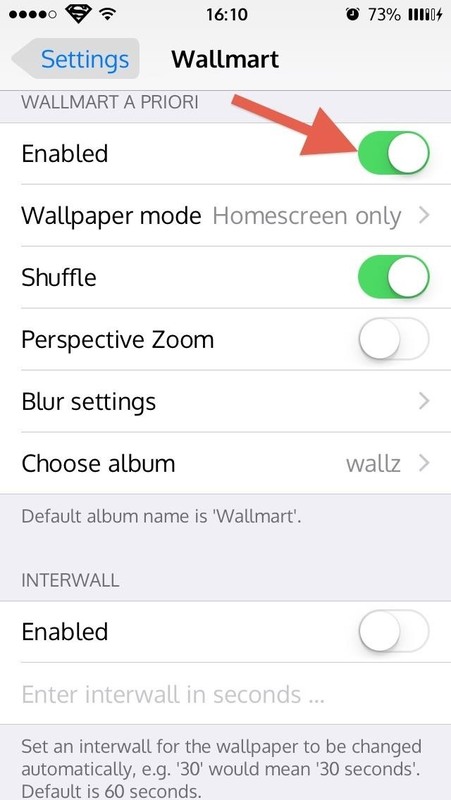 The timed feature, called "Interwall," needs to be enabled in Wallmart's settings. Then, simply enter in a time using seconds (60 is the default) and your wallpaper will change accordingly. You can disable the default method (every time the screen is locked) by tapping the slider above "Wallpaper mode." 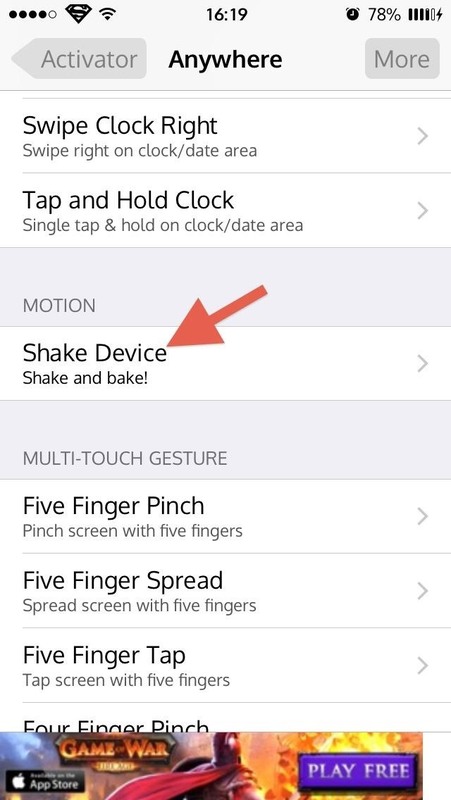 With Activator also installed, you can use it to assign a function to activate wallpaper changes. Open up Activator, choose where you want the action to be recognized, choose the type of action, then assign it to Wallmart. As seen below, every time I shake my phone, my wallpaper will change. Free feel to assign wallpaper changes using all of the methods above, if you so desire. What Do You Think About Wallmart? 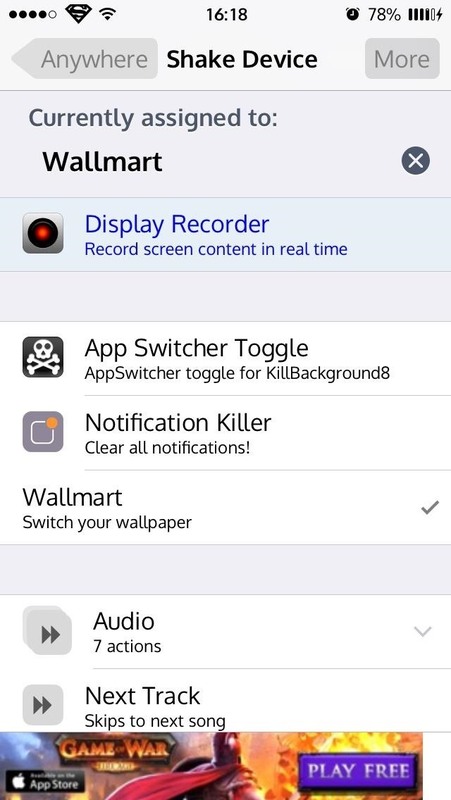 Wallmart is a great free tweak that finally lets me enjoy all of my wallpapers without any work on my end. If you're looking for some wallpapers to add, check out these iOS and Android ones. Which method did you use to change your wallpapers? Let us know in the comment section below, or over on Facebook, Google+, or Twitter.